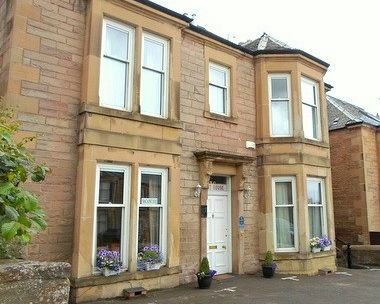 You can find us in a lovely and quiet residential part of Edinburgh. Travelling to the centre is very easy because we are situated on three bus routes and are approximately 2½ miles away from the city centre. If you are travelling to us by car or motorbike we have private free off-street parking. And we provide you with your own front door key, so there is all day access. 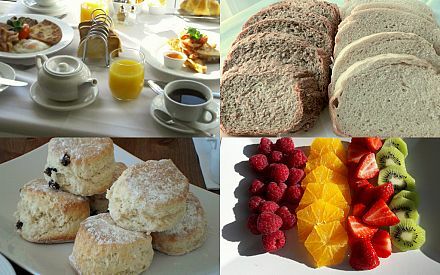 Breakfast is freshly cooked for you and is a traditionally Scottish one, which includes Haggis! All our rooms have private en-suite facilities with showers. Towels, soap and Toiletries are provided for you. 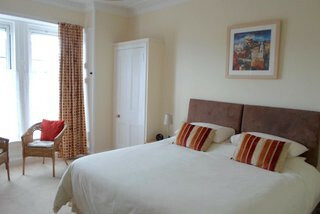 Rooms have adjustable central heating radiators and windows are fully double glazed. A complimentary tea/coffee tray with some homemade treats is provided for your stay. Each room is fitted with a TV and has a hairdryer. A Brae Lodge welcome pack in the room has local information about dining in the area and how to use the local buses plus there is some history about the area. There is also tourist information leaflets in the hall. An Iron and Ironing board is available on request. We provide free WiFi for Internet access.The accommodation has beautiful views from some bedrooms towards landmarks such as Arthur's Seat, The Edinburgh Royal Observatory. The Braid Hills and The Hermitage of Braid are just two minutes from here with beautiful scenery and lovely country walks. Near by attractions are Rosslyn Chapel, and Craigmillar Castle and Gilmerton Cove. Edinburgh is a University City and we are just 300 metres from the Edinburgh University campus of Kings Buildings and 3 minutes bus journey to the University central campus in Bristo Square.